Gone are the days of BMW, Mercedes Benz & Audi’s. Its Tesla’s world now! Just like how iPhone redefined mobile industry few years ago, Tesla Motors is redefining cars now. It’s breaking all the rules and raising the bar of every possible automobile standard. 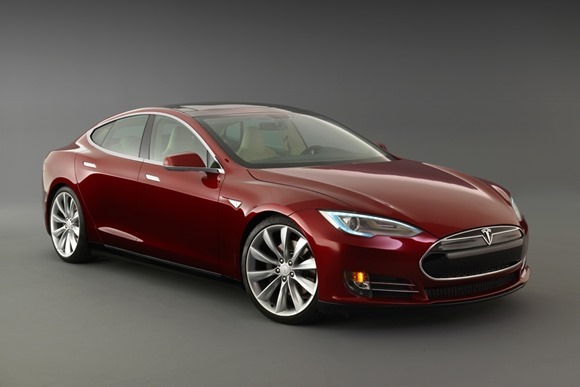 In a recent safety study Tesla’s Model S left all it’s competitors or for that matter every automobile maker to dust! The safety study concluded that Model S is the safest car ever tested and found that few of the safety measure of Apollo Lunar Lander are implemented in this car. Safety features of a space vehicle in a car? Well yes its true that Model S has features of space vehicle and it is not a surprise if you know the guy who engineered it. Elon Musk is the brain who architects Tesla Motors(NASDAQ: TSLA) as well as space shuttles that beat NASA’s space shuttles. He is also known as real world Iron Man. Many call him as the next Steve Jobs and few of them are saying he is better than Steve Jobs. So when a genius space scientist redefines a car with lots of love and passion it is bound to break all the records and set new standards. In the video embedded below you can see Model S crash test conducted by National Highway Traffic Safety Administration by ramming the car on side ways to a pole at high speed. If it is some other car then it would have crushed itself and endangered passengers in the vehicle, but Model S sustains it in an unbelievable way. Tesla achieved this outcome by nesting multiple deep aluminum extrusions in the side rail of the car that absorb the impact energy (a similar approach was used by the Apollo Lunar Lander) and transfer load to the rest of the vehicle. This causes the pole to be either sheared off or to stop the car before the pole hits an occupant. One of my favorite quotes from the safety report of Model S found is “[T]he exact [rating] number is uncertain due to Model S breaking the testing machine”. That summarizes how safe the car is and if you are interested you can read the full report over here.